January, of course, is the month when we try to detox from the excesses of the holiday season. But rather than focusing on what we can’t or shouldn’t eat, I’ve chosen instead to highlight eight delicious and healthy foods we could all be eating more often. No, this isn't just a rehash of those familiar lists of superfoods plugging almonds, blueberries, spinach, and green tea as the cures for all complaints, although it is similar to the recent New York Times list of 11 foods you should eat that you may not be eating. Shaking things up a bit, diet-wise, provides your body with a greater variety of nutrients and recharges your battery (i.e., your metabolism). And life’s a lot tastier when you’ve got plenty of options on your plate. So boost your health and your new-year resolutions with these fabulous foods — they’re accessible, affordable, and appealing. Pistachios. 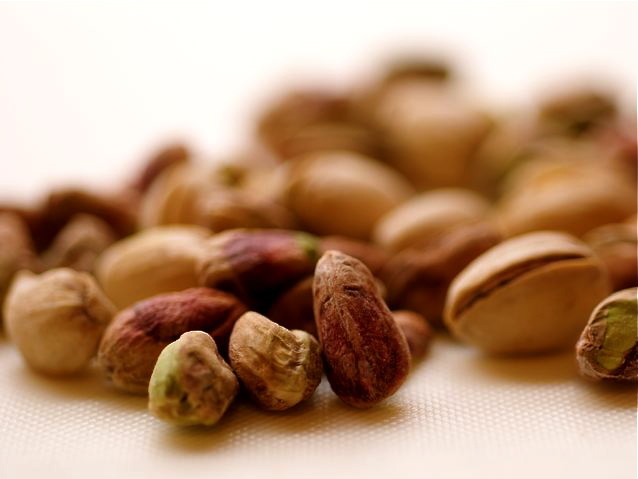 Pistachios have been receiving a lot of attention of late as one of the healthiest nuts around. They’re great for sustained energy and are packed with healthy fats to help lower cholesterol and protect against heart disease. Pistachios are good sources of protein, antioxidants, and fiber; the fiber also means they're guaranteed to fill you up fast. Remember that nuts are generally high in calories, so the key, as always, is moderation. But 50 pistachio nuts have just 160 calories. And if you’re prone to runaway snacking, buy unshelled pistachios, so you’ll have to burn calories just to get at the nutmeats inside. Quinoa. A great alternative to brown rice or couscous, quinoa is an ancient whole grain from South America that's a nutrient-rich powerhouse. Quinoa’s popping up more and more in grocery stores and on restaurant menus as an interesting, nutty-flavored whole grain that’s an excellent of source of complete protein and is packed with fiber, iron, and a host of other vitamins. Grapefruit are also full of satiating fiber and boost digestion, which in turn aids the process of losing those extra few pounds and keeping them off. Check with your physician, however, if you’re on certain prescribed medications for high cholesterol, depression, or seizures, as grapefruit can interact with these medications. Beets. Colorful, easy to cook, and brimming with antioxidants, beta-carotene, fiber, and folic acid (1 cup contains nearly 35 percent of your daily recommended amount of folic acid), beets may help protect against cancer and heart disease. They're also known to be a detoxifying food, helping your liver to flush out all the toxins from that string of over-indulgent holiday parties. Brussels sprouts. I could barely stand the sight of Brussels sprouts as a kid, but they’re by far one of my favorite vegetables these days — and they’re loaded with health benefits. They’re high in vitamins K, A, and C (1 cup has more than 150 percent of your daily allowance of vitamin C), folic acid, and fiber to keep digestion moving smoothly. A cruciferous vegetable, Brussels sprouts contain phytonutrients (a type of antioxidant), which help lower your risk of cancer and cardiovascular. These cabbage sprouts are fantastic roasted, shaved, added into salads, or on their own as a filling, flavorful side dish. Red wine and dark chocolate. These two foods, of course, are everybody's favorites, since they seem so decadent. Both are crammed with antioxidants to combat heart disease, high blood pressure, and even signs of aging (think wrinkles) while boosting cognitive function. Don't overdo either, of course. Stick to small amounts of each for the biggest health benefits, such as a glass of wine or a few squares of dark chocolate (look for a cacao content of 70 percent or higher) per day. Coffee. Think you should switch to green tea for all of its healthful antioxidants, but really don't want to give up your coffee habit? Go ahead and drink up, as one or two cups of coffee a day can reduce your risk of getting Parkinson’s, diabetes, and heart disease, and can improve athletic performance and mental acuity. Like green tea, coffee is loaded with antioxidants; for the average American, it's the most prominent source of daily antioxidants. Research in the American Journal of Clinical Nutrition, in fact, shows that per serving, coffee actually just beats out blueberries in the antioxidant wars. Don’t get too much of a good thing, though; downing four or more cups of coffee a day can put you into caffeine overdrive and may cause headaches, the jitters, and digestive upset as well as altered sleep habits. Bon appétit, and here's to a nutritious and tasty 2009!